Note: H/CE/BR devices can be built also using simple instance-type virtual routers as no additional inside virtualization is needed. The IOS XRv router is allready installed in my MacBook as detailed into my recent article Cisco IOS XRv on VMWare Fusion. The Cisco IOS XRv Router is a Virtual Machine (VM) based platform running 32-bit IOS XR software with the QNX microkernel. This VM contains a single route processor (RP) with control plane functionality, and line card (LC) network interfaces with their associated functionality. It is a representation of the IOS XR software and operating system, including manageability, control plane features, routing and forwarding functionality. 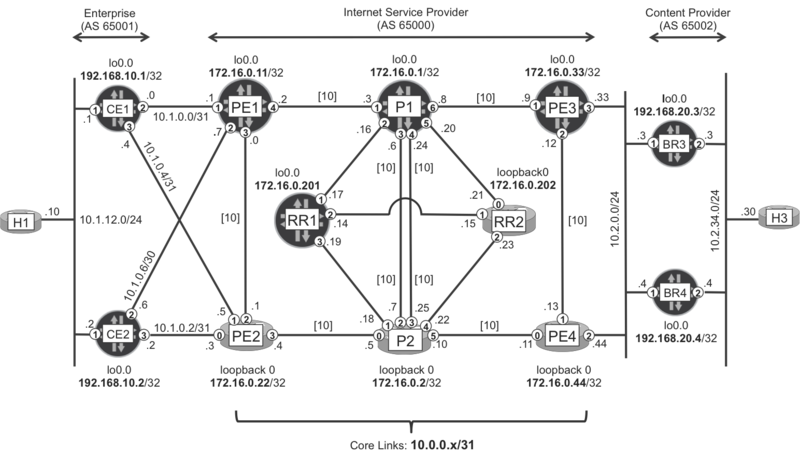 The Cisco IOS XRv Router is not an emulation of any physical router or hardware component.